Inspired by the beauty of the little moments. Announcement Order free of shipping costs. Simply enter the discount code THANK YOU when paying. On request we create individual maps. Tell us your text and the font color. 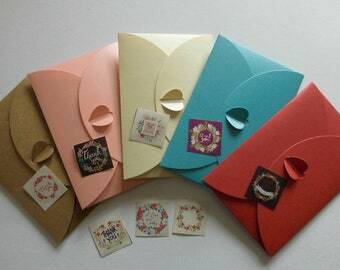 Card size: 9 x 5.5 cm fits 2 to 4 lines or 14.8 x 10.5 cm, there may also be 6 - 8 lines, with a font size e.g. Arial 14 "Or an image to be processed with" can be uploaded. BE CREATIVE. "Just press the button "Request special design" and tell us the text" or upload the picture. Avoid contact with water. 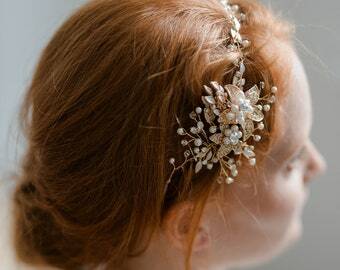 So please remove your jewel before hand washing, swimming, showering or applying cosmetic products such as perfume, hairspray, soaps or lotions. These could damage the jewellery, reduce the life of the coating, cause discolouration and reduce its shine. Also try to prevent impacts on hard objects that could scratch the piece of jewellery and cause chipping and other damage. Order free of shipping costs. Simply enter the discount code THANK YOU when paying. 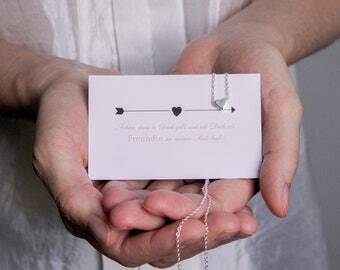 Thanks for Bridesmaid-Card plus Heart Bracelet Silver or Gold plus Gift wrap with Thank You – Sticker. 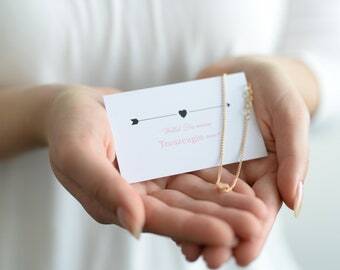 Bridesmaid Gift-Card Plus Heart Bangles closed in Gold plus gift wrapping with Thank You – Sticker. 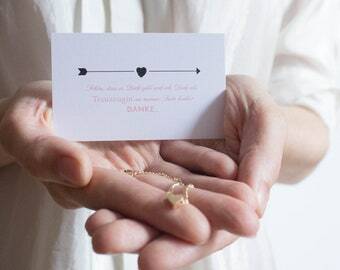 Trauzeugin Danksagung Karte plus Silberner oder Goldener Herz Armreif offen plus Geschenkverpackung mit Thank You - Sticker. 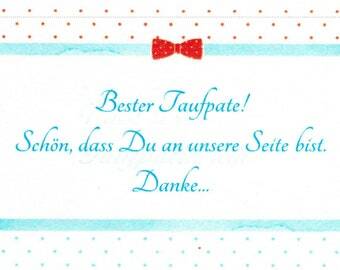 Toller Armreif. Laesst sich bequem tragen und sieht hübsch aus. 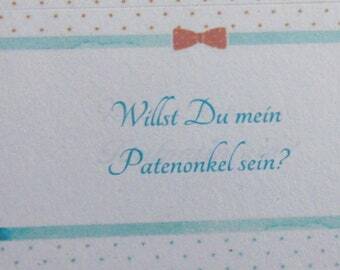 Ich bestelle bestimmt bald wieder. We are a member of the initiative „FairCommerce“ since 05.05.2018. The subject-matter of the contract is the selling of products . with the item in question. entered. Finally, all of the order data is shown again on the order summary page. website of the payment system provider. Finally, you will be routed back to Etsy on the order summary page. summary page (you may also use the "back" button on the Internet browser), or to cancel the purchase. way by which the purchase agreement takes place. issued by the supplier regarding file formats are to be borne in mind. template for execution through a counter-signature in text format (e.g. e-mail). potential errors to our attention. We assume no liability for unqueried errors. re-sent to you via e-mail.